The Crusades linger within popular imagination, making them a frequent inspiration for medieval costume ensembles. 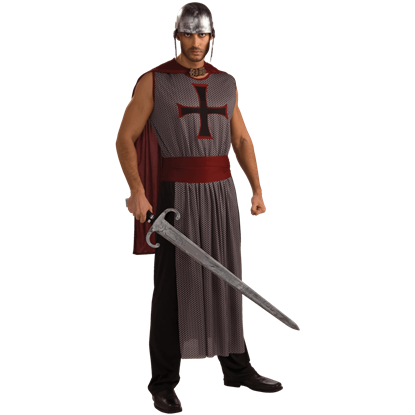 We carry the best assortment of Crusader costume apparel on the internet for Halloween, re-enactments, and theatrical performances. 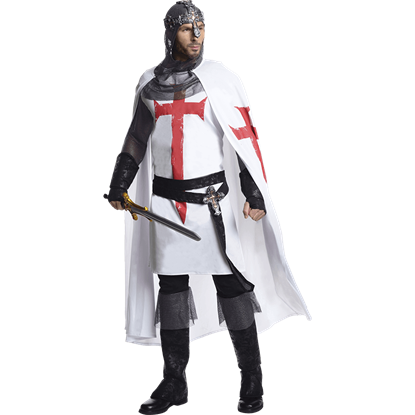 In addition to knight costumes for men, women, and children, we also offer excellent Crusader costume accessories and costume props to round out your look. Inspired by the Templar and Hospitaler orders, many of these items show off Crusader cross designs and other bold details that are sure to make your outfit stand out. 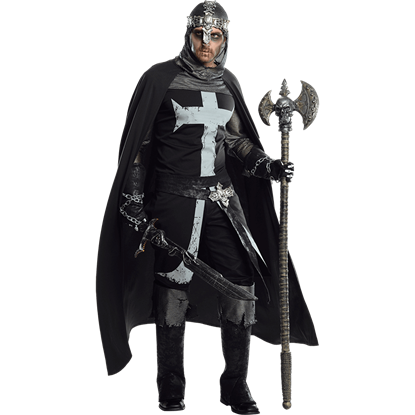 Show your valiant spirit the next time you need to get dressed up with medieval flair, and choose a fantastic Crusader costume from our selection! Maybe being a knight is too general. Maybe you want to be something more, some known warrior but with a more specific title. 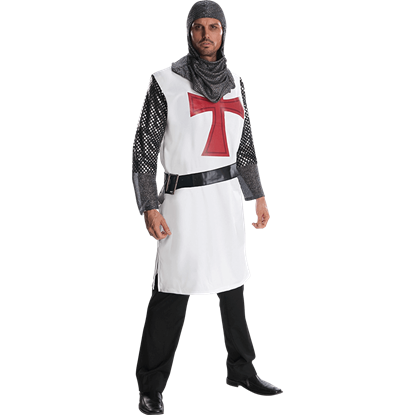 Maybe the Crusader Men's Costume is exactly what you need, a warrior who earned his reputation in the Holy Land. 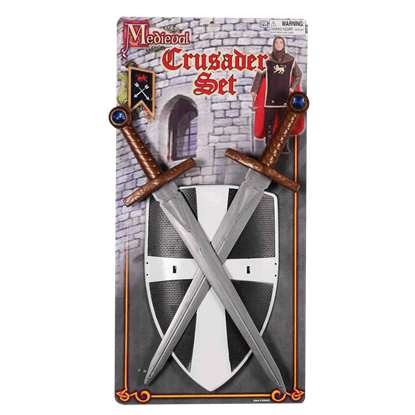 This Crusaders Sword and Shield Prop Set are the ideal pieces of equipment to carry as a knight if you are looking for something that is whimsical, a little medieval, and most importantly of all, lightweight and perfectly safe to carry. Joan of Arc could be considered one of the great female warriors of the world. She won battles where her male counterparts could not. Now, any woman can emulate her warrior spirit by donning the Joan of Arc Woman's Costume. This dark knight is defender of the netherworld and champion of any who call upon the dark arts. 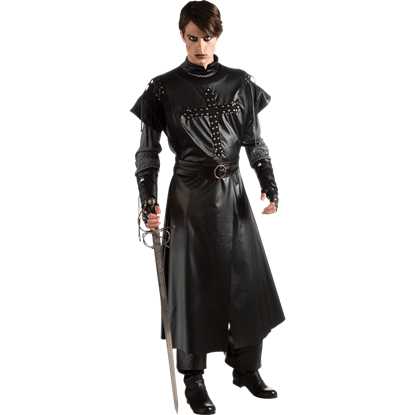 The Mens Black Knight Costume provides a striking adult Halloween ensemble that combines medieval and gothic design. As a whole, crusaders were diverse, knights, criminals, and men from all lots of life made up their numbers. All, however, became warriors to fight, and in the Mens Crusader Costume, you will feel just like another crusader. Combining medieval and gothic styles, the Mens Dark Crusader Costume offers a creative option for dressing up this Halloween! The black knight costume comes with a tunic, shirt, and belt perfect for any dark medieval warrior. 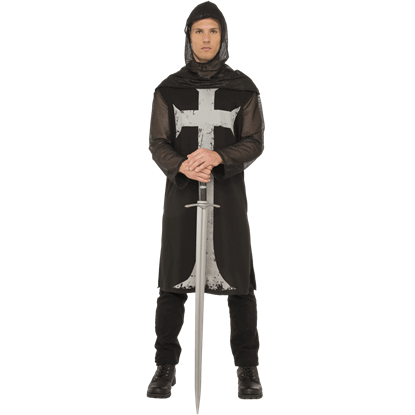 The Mens Gothic Knight Costume displays a terrific blend of medieval and gothic style, providing a terrific base for a whole host of creative costume options. This dark knight costume, made from polyester, includes a tunic and hood. Defeat the dragon, rescue the lady, and make your next costume event a true occasion for the scrapbook! The Mens Knight to Remember Costume will transform you into a bold medieval warrior for the Renaissance fair or a themed party. Champion of truth and justice, this medieval knight is adept at rescuing fair maidens and defending the realm. 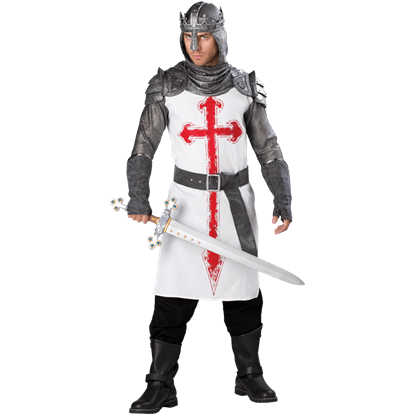 The Mens White Knight Costume works great for the Renaissance fair, theatrical productions, and Halloween parties. This charming lady almost looks as though she will head out to the battle field herself in this silvery gown. The Womens Crusaders Lady Costume makes a fun option for Halloween parties, Renaissance fairs, or stage performances.